Chance to Win A diamond studded RADO watch. Just check HOTMAIL on your Windows Mobile, Blackberry, Samsung, Nokia or any other phone with GPRS and enjoy the enlightening features of it. 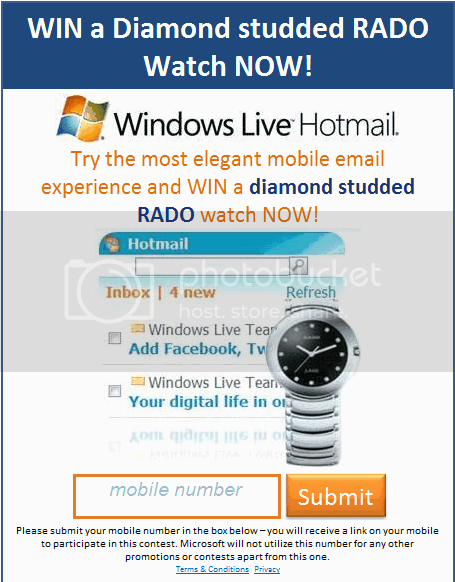 Windows Live Hotmail is on your mobile then RADO watch is on your hand. Be one of the few who are yet to use Hotmail and be the winner.